Long time no see! I took a break in January and now, I’m back! 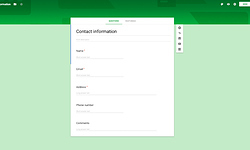 I have a terrible sense of design and got inspiration from Google Form. 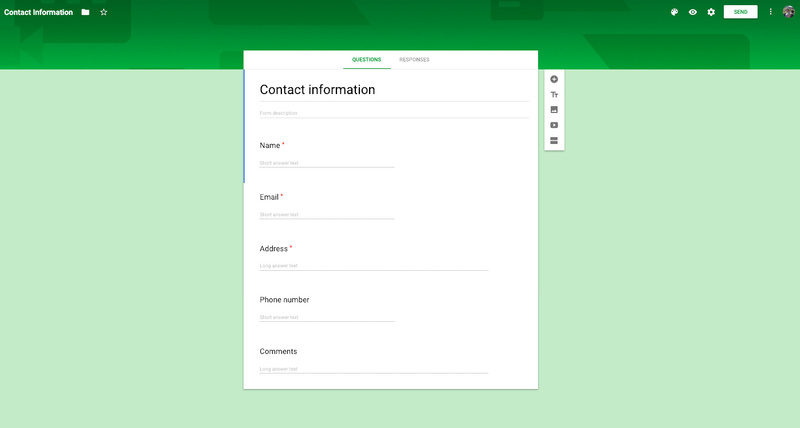 I even managed to get the form sliding under the “Questions/Responses” secondary nav. My <input type="text> didn’t work anymore. After some research, it looks like it is the position: fixed of my header(css line 11). What is happening? What has happened? Is there any way I can have both? Probably github changed the size of the picture and now its container is stretching over half of the screen. You are a superstar, @jenovs! Thanks!